At time of writing, WWE's problematic pay-per-view Crown Jewel still appears to be going ahead on November 2nd, but whereabouts it'll take place isn't quite so clear. The controversial Saudi Arabia show was mentioned several times on last night's Monday Night RAW, but it's location was not, leading some to suggest a change in location could well be on the cards. As previously reported, WWE do have a contingency plan should they be forced to move. Crown Jewel could take place on 4th November in Manchester, England ahead of tapings the following days. Dave Meltzer provided an update on the situation yesterday on Wrestling Observer Radio, stating that the event will go ahead as scheduled in the Kingdom of Saudi Arabia, unless the State Department or President Donald Trump tells the company they can't go. Sports Illustrated also claimed on Monday that multiple members of the WWE talent roster have expressed discomfort with the idea of performing in Saudi Arabia, especially given the nation's poor record with human rights, and didn't want to go to the event. 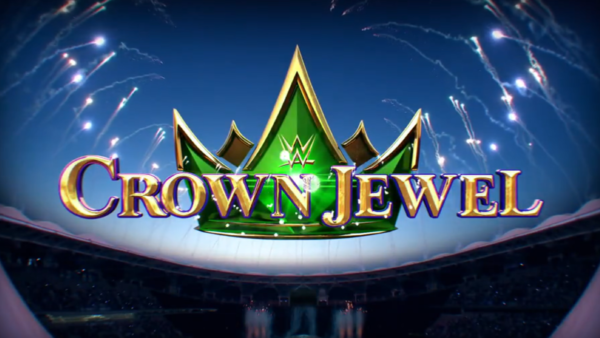 Nevertheless, with Crown Jewel being the second-event of a 10-year partnership between WWE and the Kingdom, they are apparently "bound and determined" to go through with the pay-per-view, which coincidentally would net them around $45 million. 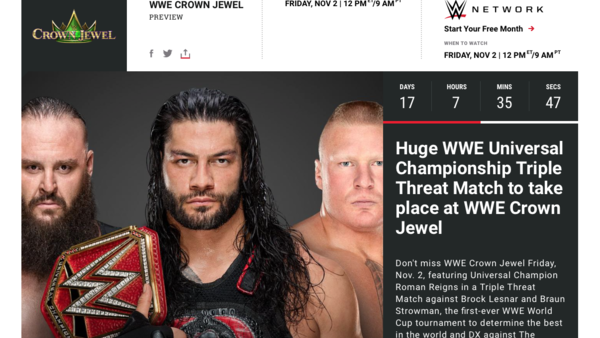 However, one final twist in this story comes when you check WWE.com, which fails to list the location of WWE Crown Jewel. One could be forgiven for assuming it may take place in Parts Unknown!